Very recently, Matt Cutts published a blog post entitled, “The Decay and Fall of Guest Blogging for SEO”, in which he stated that the act of allowing guest bloggers in 2014 has become less favorable in the eyes of Google. Until now, guest blogging has been accepted as a legitimate and constructive way to obtain back links for your website or to obtain unique, quality content, and build rapport among search engines. This 180-degree turn by Google is a bit more nuanced than the simple statement Cutts opened with, but there are nevertheless serious implications to consider when such a high-profile Google software engineer sounds the alarm. We’ll discuss these concerns below so that you can be fully aware of the changing landscape. Perhaps the biggest concern outlined by Cutts when it comes to why Google is now giving less credibility to guest blogging is the massive amount of link spamming that has popped up in the industry. With millions of people pinging for SEO, the competition among brands, blogs and websites has exponentially increased. The most obvious spam techniques have by and large long been abandoned, but more sophisticated variations have developed in its absence. Unfortunately for those who adapt, so does Google, and the combination of spam link building and Google’s algorithmic evolution is finally catching up to the more sophisticated link spammers who use guest blogging and other tactics as ways to circumvent the system. Cutts also reported that the nature of guest blogging has created an increase in the subtle yet unaccepted solicitation of back links for money in today’s world of SEO. 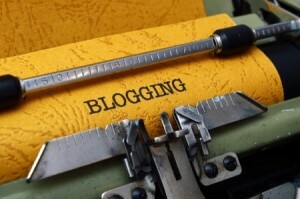 Because at one point guest blogging was so effective, almost everyone jumped on the bandwagon. This competitive situation has resulted in people directly offering webmasters and bloggers money in exchange for allowing the publication of content on their blogs and websites. This dynamic has led many within Google to believe that guest blogging is now a net negative when it comes to tracking quality, legitimate content and blogs, so an ever larger amount of scrutiny to the practice will be applied in the future. If you are a guest blogger and wonder where to go from here, the answer is not so simple. A practice that can directly replace this effort doesn’t exist, so an increased focus on your own content and distribution via platforms such as email and social media may be the best solution. For webmasters and those who utilize guest bloggers as a way to “fill in the blanks” so to speak, the above tactics are applicable in addition to an increased amount of freelance or copy-written content from other sources. Changing nothing, however, is clearly no longer an option when it comes to pinging for SEO in the long-run. With the announcement that guest blogging may now be detrimental to Google search engine rankings due to documented exploitation, other venues will have to be explored for the same benefits. The world of SEO is constantly in flux, and this is yet another bump in the road on the way to prolonged success on the web for many. Traditional marketing tactics are still valid, as is the consistent variable of quality content. When it comes to the latter, however, you may suddenly find yourself in need of a new source. It was just a few days back I learned about “Guest Blogging” and now this….thank you for sharing the information.